In 1975, a Peruvian company called Inkaterra opened a lodge for scientists who came to study Peru’s rainforest, long before eco-tourism was trendy. Inkaterra’s proud legacy of conservation, social responsibility and geo tourism has created an international model, recognized by the World Bank and the United Nations, by providing the sophisticated international traveler with a luxurious, gracious and authentic exposure coupled with social responsibility initiatives for over 30 years now. Inkaterra Reserva Amazonica Canopy Walk – a learning experience about the Amazon Rainforest, its flora and fauna. Inkaterra through its NGO Inkaterra Foundation (Inka Terra Asociacion –ITA) carried out ecological endeavors at Inkaterra Reserva Amazonica, on the Tambopata National Reserve in Peru’s Southern Amazon rainforest and at Inkaterra Machu Picchu Hotel, in the Machu Picchu National Reserve in the Southern Andes. ITA was founded to conserve the environment, ecosystems, cultural and archaeologicalnatural resources, Peru’s cultural identity and apply sustainable development. Inkaterra Reserva Amazonica – where ecological research and conservation started. Through ITA, Inkaterra’s ongoing programs include Research, such as sponsoring international scientists and local experts who conduct ecosystem studies, biodiversity, flora and fauna inventory andconservation status, etc. This has resulted in the identification of 372 species and the discovery of 8 new species in the Machu Picchu cloud forest, as well as several publications and field guides. Inkaterra Conservation Projects include the Inkaterra Canopy & Anaconda Walk at Reserva Amazonica, with constant monitoring of wildlife assessments and endangered eco systems, as well as the Rolin Island Fauna Rescue Center and the Butterfly House in Puerto Maldonado. Likewise, the Spectacled Bear Rescue Project in Machu Picchu provides vital support for protection of the endangered Andean bear species. Natural corridors and carbon fixing along the Madre de Dios River of the Southern Amazon rainforest and the Andean cloud forest in Machu Picchu are carried out in a total of 17,000 hectares of reforestation projects. Environmental and eco best practices include evaluating surrounding landscapes, flora, fauna, water, air, sounds and solid waste.Infrastructure was constructed in keeping with the local nature in both Inkaterra Reserva Amazonica’s Ese-Eja styled cabañas and Inkaterra Machu Picchu Andean casitas. Quality assurance along with ecological safety measures are ensured with the proper use of water resources,water waste management, air quality maintenance through proper utilization of gas stoves, non usage of aerosols and ground keeping in general. All Inkaterra eco-excursions such as Bird watching, Orchid Trail, Nature Walks, among others, are led by highly trained, knowledgeable and conscientious expert eco guides-interpreters. Inkaterra Machu Picchu Pueblo Hotel guests taking part in Organic Tea picking and process their own tea bags. Cooperative projects with the local community includes the Gamitana Farm, a comprehensive model farmhouse for self-generating eco-agri business. It also operates Concepcion, a community house restored for volunteers, local and international researchers and a national volunteerand education program. 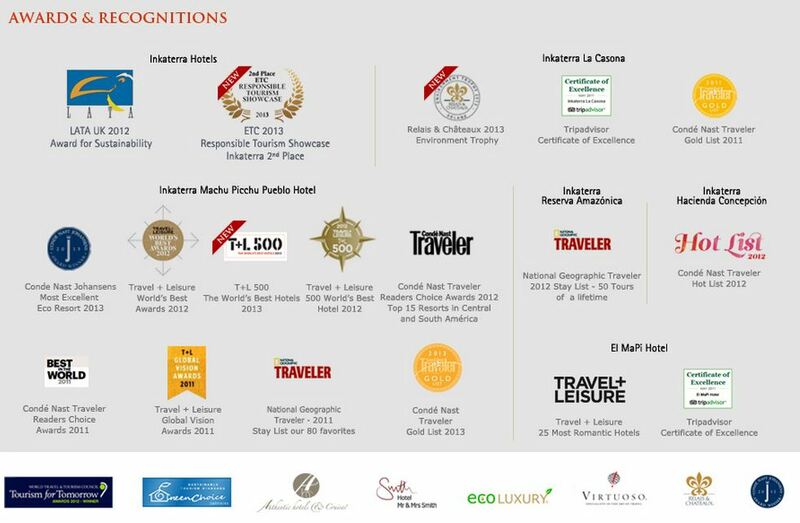 Inkaterra, multi-awarded, globally acclaimed by travel & tourism events and publications worldwide. In April 2007, Inkaterra became Peru’s first carbon-neutral travel organization by integrating renewable energy onsite, and offsetting emissions from all of its accommodation and tour related activities, including fuel use and electricity generation. Inkaterra acknowledges that all travel generates unavoidable greenhouse gas emissions that affect global warming. Inkaterra actively educates their clients and guests to do so as well with the opportunity to of a carbon neutral accommodations in the Andes and the Amazon, which offer a wonderful experience for the conscientious traveler. 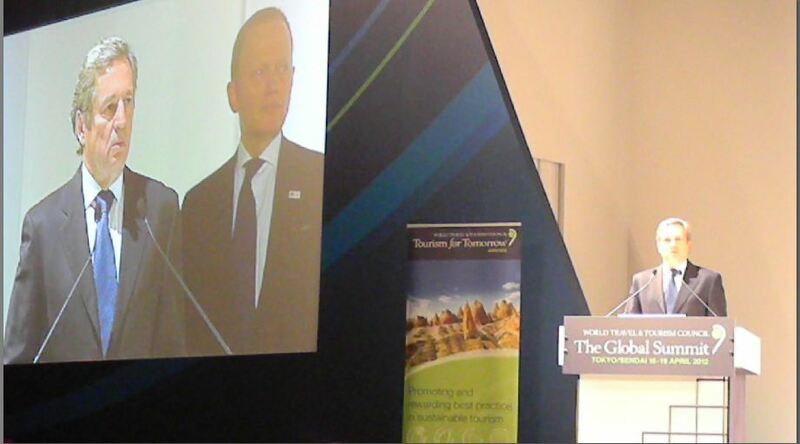 Inkaterra World Travel & Tourism Council, Tourism for Tomorrow Award Winner in Conservation, 2012. Take a PERU DREAM TRIP by Inkaterra, Peru’s Eco Pioneer and Conservation Leader since 1975; 100% Carbon Neutral travel and stay, any day departure. Inkaterra La Casona, former Incan Royal & Peru’s conquerors’ residence, now Cusco’s foremost luxury boutique hotel. For more information and travel assistance on sustainable trips and Green Hotels stay, check our Green Travel Exchange or contact us. 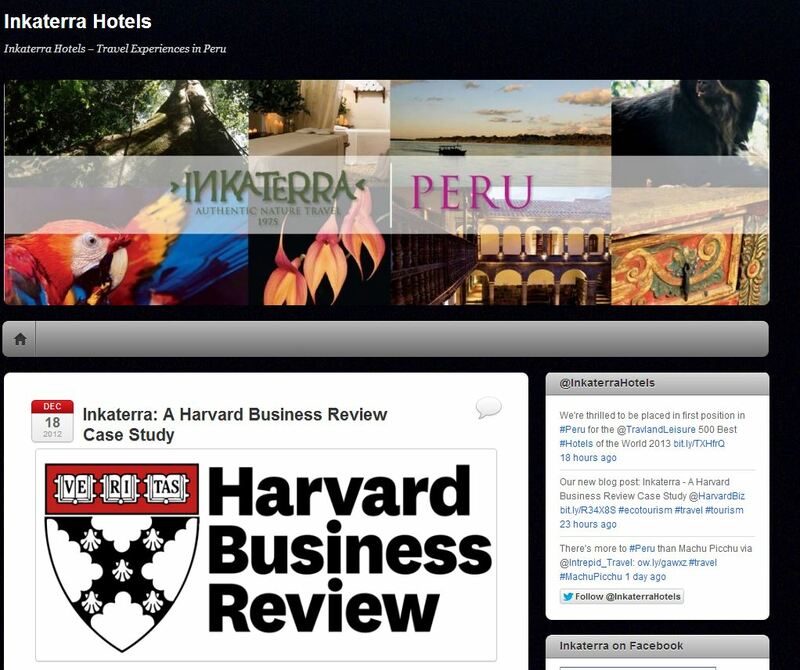 Posted on April 9, 2013, in Eco Conservation, Ecotourism, green hotels, Sustainable Tourism and tagged eco lodges, green hotels, Inkaterra, Peru, Sustainable Tourism. Bookmark the permalink. Leave a comment.